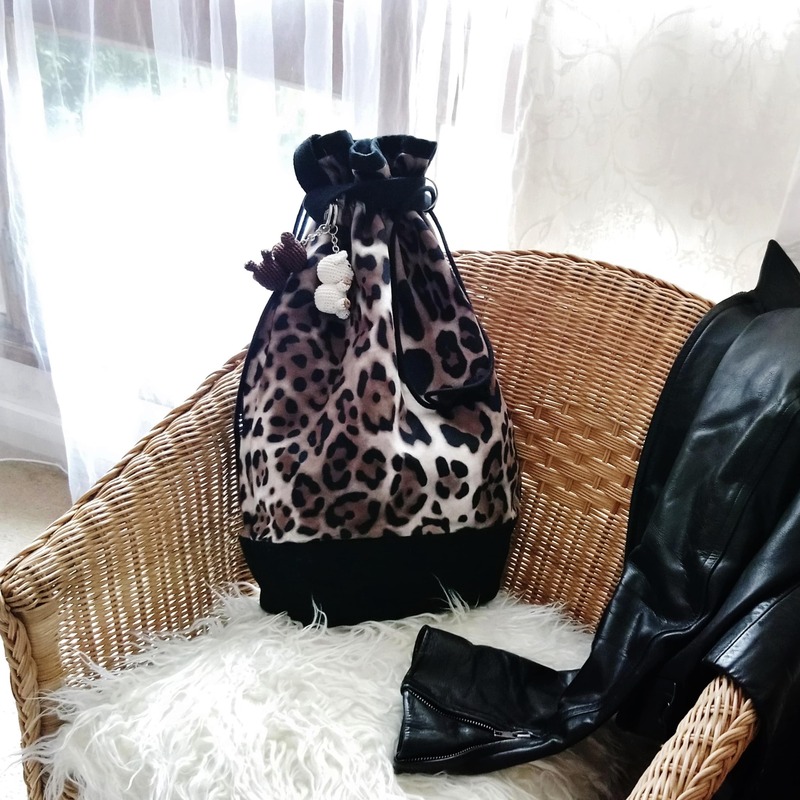 Leopard bag, black and leopard printed fabric bucket bag, Package shipping 48h. 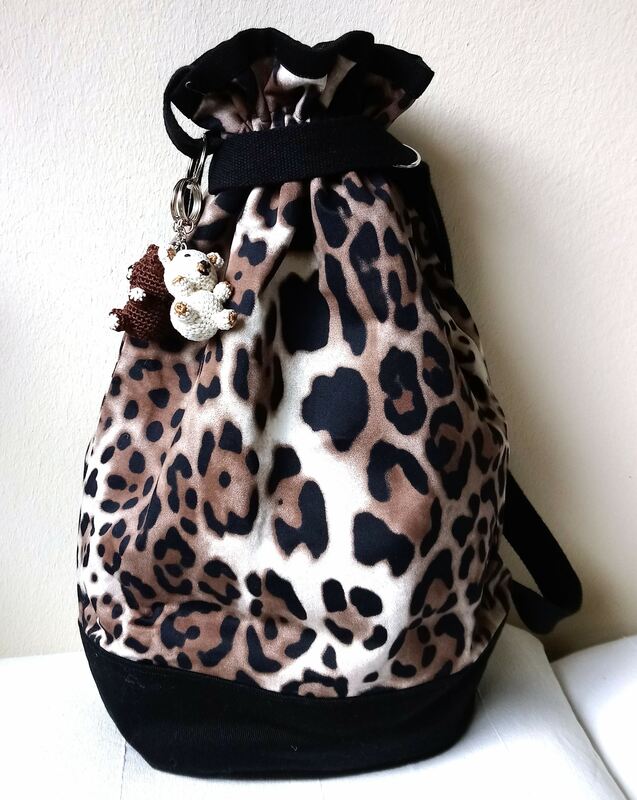 Leopard bag, chic and trendy. 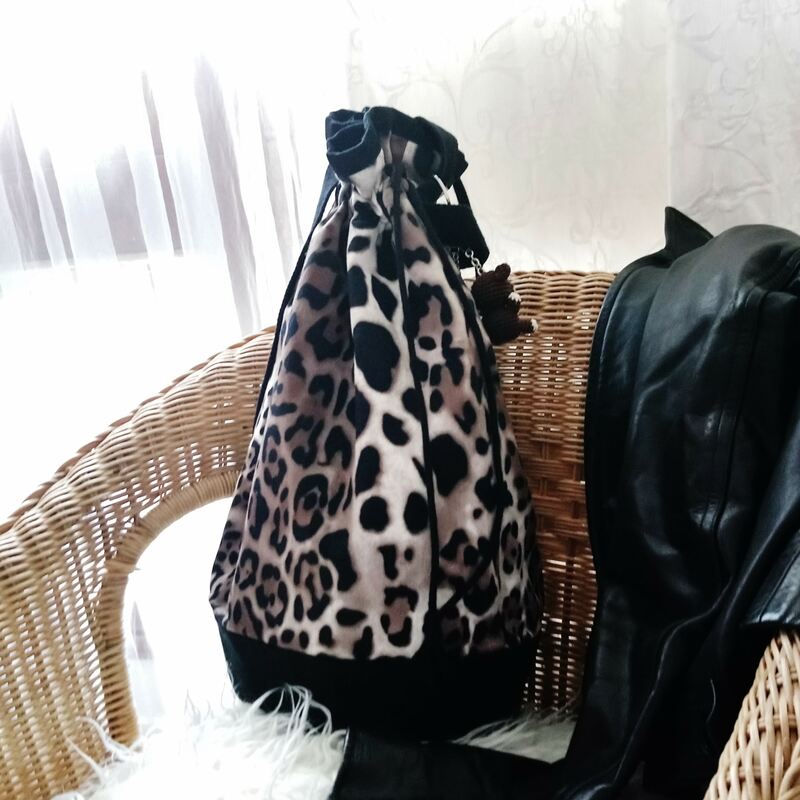 Its shape is bucket bag, very fashion actually. 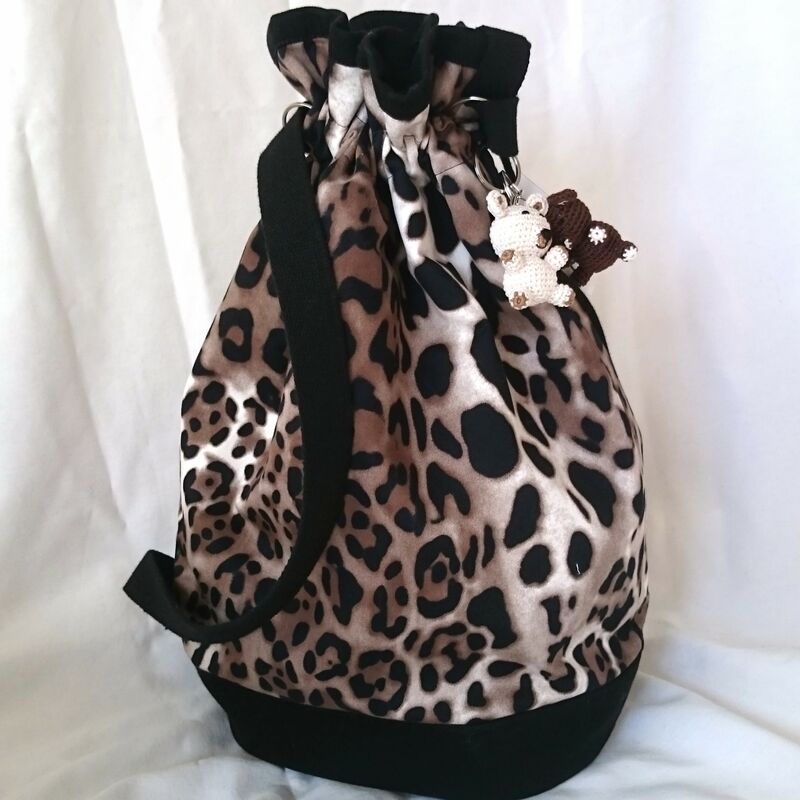 The leopard printed fabric is associated with plain black fabric. It closes efficiently with a double cord and you carry it with hand or arm, or on shoulder. An astute strap, starting from low to opposite up side getting throw a ring, allow you the way to wear it. You pull the upper part of the strap and a handle is formed (the lower part goes along the bag). You can slip in your arm or your hand, so this bag is weared like any handbag. You pull the lower part (the upper part reduces itself and surrounds the closing) and you obtain a shoulder strap to carry on shoulder and back. This bag is really pretty, casual and elegant, easy to wear and very handy. Its design, its colors and the high quality of the fabrics assure you an unique style and a well taste chic in any circumstance. It is roomy, you will find inside three pockets. It is perfectly washable!